Ficesa Treuhand S.A.P. has been growing gradually since its formation, having established four offices over the thirty years it has been in existence: in Barcelona, Palma de Mallorca, Marbella and Las Palmas in Gran Canaries. Our team currently consists of more than twenty-five professionals dedicated to auditing and financial advice, which allows us to efficiently meet the needs of all our clients. Most of our professionals speak German or English, which allows them to deal with clients in their own language, facilitating good communications and a personal approach. Ficesa Treuhand S.A.P. also works in close collaboration with Dr Frühbeck Abogados - a legal company which offers our clients legal advice on commercial, labour and tax administration. Personal treatment is also assured with an appointed solicitor who speaks the same language as the client. With the aim of offering our clients the highest quality global service, our company is a member of the auditors, financial advisors, solicitors and consultants in the Geneva Group International. This organisation has more than 500 offices world-wide. Through this important network of independent companies we can guarantee that our clients will receive top quality service in all the major cities of the world. Ficesa Treuhand, S.A.P. specialises in the provision of auditing services and financial advice to subsidiaries of foreign groups established in Spain. 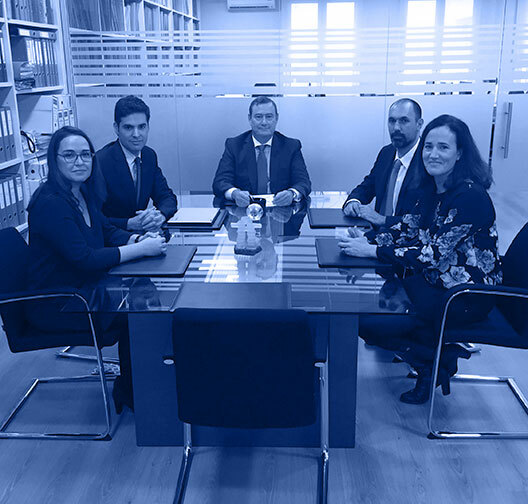 Our team of auditors and financial advisors has a wide experience of auditing and extensive knowledge of Spanish tax and accounting laws so that we can offer our clients high quality advice and services. Our presence in five different locations allows us to offer direct and personalised contact with our customers. Our objective is to offer our clients established in Spain complete cover in all fiscal and accounting areas through our company’s ‘compliance’ service, leaving clients free to concentrate solely on their commercial activities. By means of this service, we allow our clients to concentrate on the commercial expansion of their business in Spain, taking care of all the administrative tasks of the company such as accounting or tax and workforce management. We also offer our clients financial auditing of the annual accounts of their Spanish subsidiaries, guaranteeing a top quality service which allows our clients to immediately consolidate Spanish audited financial statements in their own annual accounts.